When the scientists started their experiment, no one expected such an outcome: a wild & angry monster was created, slimy and green! 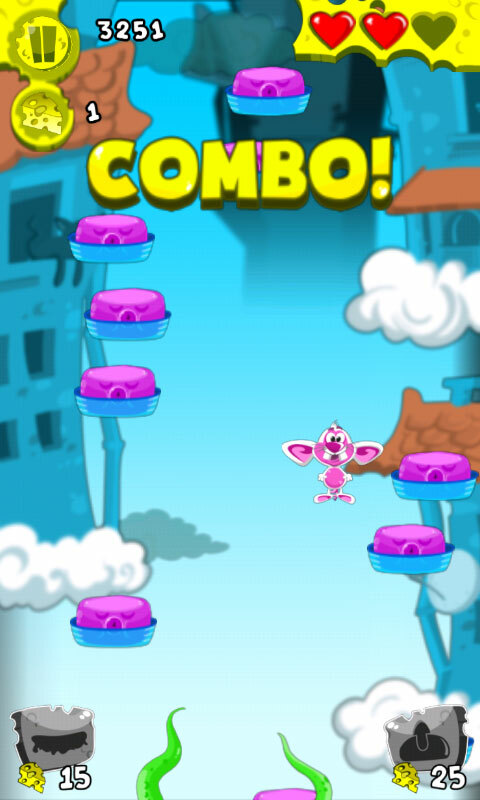 Help the lab mouse to escape from the evil beast by jumping high and higher. 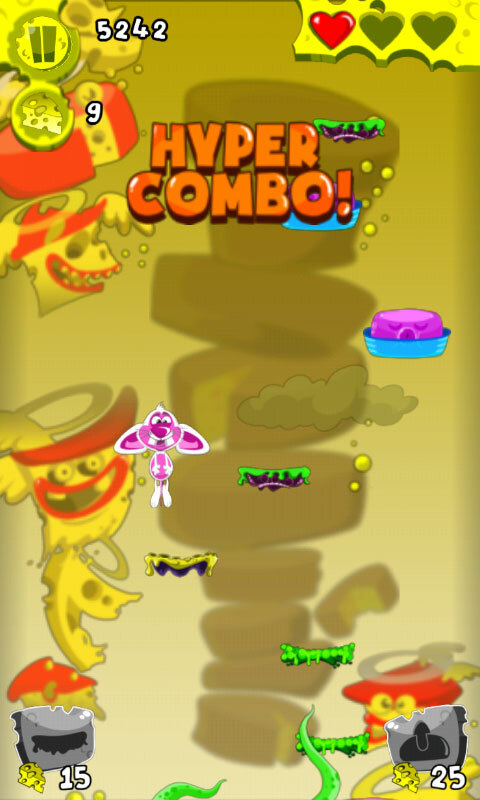 Look out for some helpful power-ups, the scientist left all over the lab. Be careful: as if one monster wasn’t enough, even more evil creatures are awaiting you. 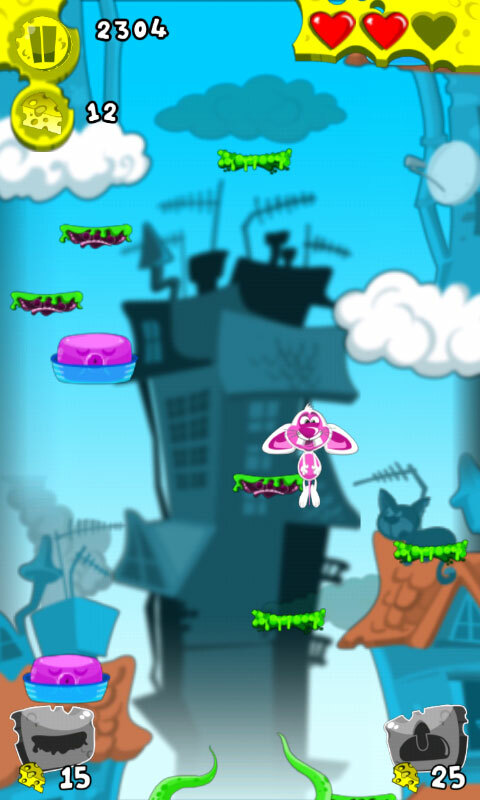 Find a potion to unlock the mouse’s super-powers & make it fly. 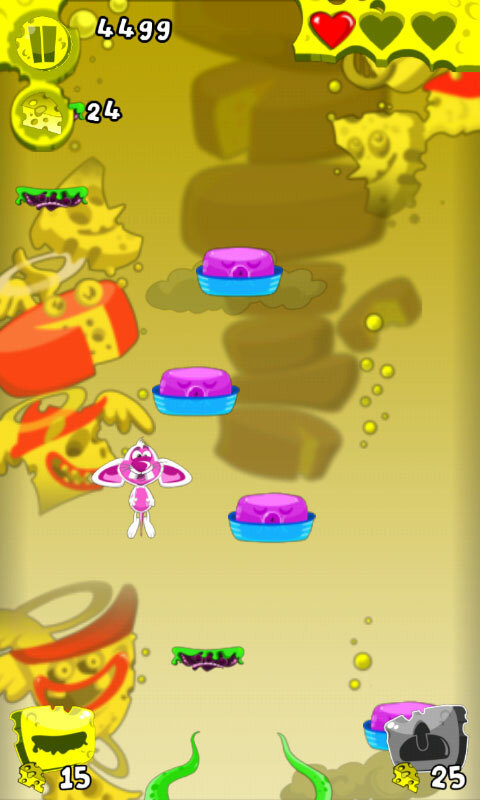 Eat & collect cheese while jumping to enable additional modes.